Just-in-time education is a technological reality, economic necessity. Sal Khan, pictured in New York City in September 2013, is founder of the free online Khan Academy, part of a wave of institutions focused more on educating than credentialing. This article is part of Future Tense, which is a partnership of Slate, the New America Foundation, and Arizona State University. On Wednesday, April 30, Future Tense will host an event in Washington, D.C., on technology and the future of higher education. For more information and to RSVP, visit the New America website. Need to know how to write computer programming code for a project at work or to learn how to change careers? Go to one of a dozen coding academies that have sprouted up, such as DevBootCamp or App Academy. Need to brush up on statistics before taking a professional certification exam? Take a free online stats course from the University of California–Berkeley on edX, one of the providers of massive open online courses, or MOOCs. Call it just-in-time education. No need to invest years of your life or thousands of your dollars in a certificate or degree program—just learn a skill when work or life calls for it. Take Nicole Kirchhoff. Last year the 31-year-old ditched her academic research and teaching gig in Australia to start an aquaculture farm in Florida. With a Ph.D. in aquaculture, Kirchhoff knew the science but lacked any formal business training. As a cash-strapped, time-pressed entrepreneur, she couldn’t afford to sign up for business classes at a local college and definitely couldn’t take off a few years to earn an MBA. Instead, in just two minutes she signed up for Introduction to Finance from the University of Michigan, one of hundreds of free MOOCs from top universities offered through Coursera. Since then, she has assembled her own version of a business degree by aggregating classes from the nation’s best schools: Foundations of Business Strategy from the University of Virginia, “Leading Strategic Innovation in Organizations” from Vanderbilt University, and four others. But that’s what most traditional higher education institutions are set up to produce—credentials in a specific timeframe, whether two years or four years. As a result, students with increasingly different needs are largely served the same way. This one-size-fits-all approach is one reason why academics are agonizing over the low completion rates of MOOCs. (Only about 10 percent of students finish the courses.) Traditional colleges are all about the endpoint—think about the pomp and circumstance of commencement—but many MOOC students find value in simply watching a lecture or two. Schools typically separate students into two categories: “traditional” 18-to-22-year-olds and “nontraditional” adults. But a new study that will be released in May by the Parthenon Group, a consulting firm, finds that students have vastly different reasons for going to college that transcend demographics. * The study, based on a survey of 3,200 Americans in college or considering enrolling, divides the student market into six categories based on their motivations. When we think of students in this way, 18-year-olds going to college solely to get a job have more in common with adults looking to advance in their career than they sometimes do with their own classmates. Some traditional colleges are stumbling right now in trying to serve several categories of these students, while other schools are going after the shrinking population of highly motivated 18-year-olds. Meanwhile, new players to higher education, unburdened by institutional history or campus infrastructure, can move fast to capture students based on what they want out of education at a particular moment in their lives rather than what a group of faculty want to offer them. These new players don’t have the established brand names of many colleges, but that doesn’t matter to the millions of students signing up. Lynda.com has 4 million people paying for its how-to online videos. 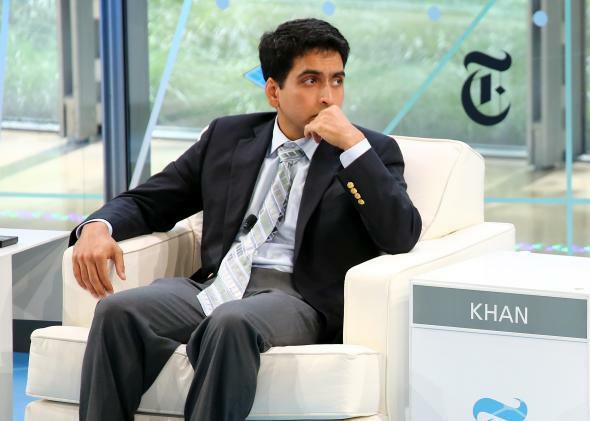 The Khan Academy has 10 million visitors a month. And some 100,000 students have passed through the doors of General Assembly, which offers one-day and multiweek skills courses in everything from project management to data analysis in nine cities. General Assembly got its start in New York City in 2011, partly as a co-working space for tech startups. But demand for its classes has been so great that General Assembly is focusing on education now and closing its co-working space. The average age of a General Assembly student is mid-20s, and nearly all of them have a college degree. In many ways this new class of education-for-life providers is most geared for the millennial generation. Those in their 20s and early 30s are struggling to launch and often find themselves unemployed, underemployed, or in jobs that provide little training. Indeed, the average age of financial independence for today’s college graduates is 30. At a time when the economy is changing at a rapid pace, education has truly become a lifelong pursuit—not just for your own edification, but by necessity. And in a hyper-connected, wireless, mobile world, learning happens everywhere, at anytime. We can’t expect to go to college at 18, graduate at 22, and then remain employed for the next 40-plus years with that foundation of knowledge alone.